Ask Google what to do in Sydney and you’ll probably get The Harbour Bridge, The Opera House and maybe Darling Harbour. Don’t get me wrong, these sights are gorgeous and definitely worth marvelling at especially if you’re around during the Vivid Sydney festival, the world’s largest festival of light, music and ideas. We don’t usually start our guides with food but because food played such a huge part in our experience here (you’ll soon find out why), these might be one of the first few things you want to check out right after landing. 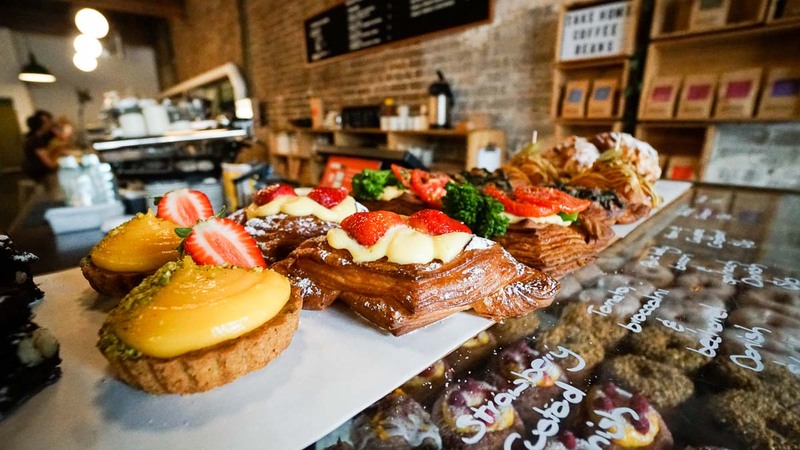 From gorgeous, instagrammable cafes to authentic no frills Japanese udon, the choices are endless. We probably only managed to scratch the surface but here are some of the highlights. 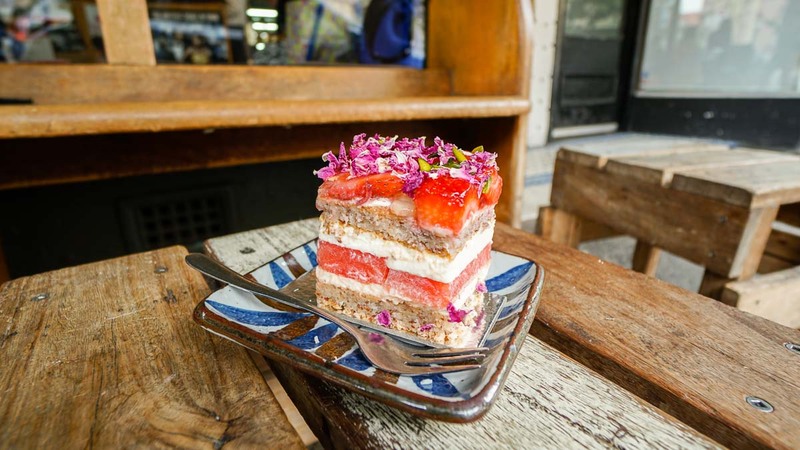 The Strawberry-Watermelon Cake from Black Star Pastry is one of the most highly raved about things to eat amongst locals and travellers and for obvious reasons. Not only does it look gorgeous garnished with strawberries and rose petals, this light, fruity and floral mix tastes as good as it looks. The down side is you can’t fly them back to Singapore without it getting soggy so just grab one for yourself, have it fresh and share the envy through your pictures back home. Well designed cafes are abundant in Sydney but seriously, the mother of all cafes is The Grounds of Alexandria. Tucked in the middle of an industrial suburb, walking into The Grounds feels a little like walking into an out of the world movie set. The flower shop sells rainbow roses, there’s a mini farm housing a single pig named Kevin Bacon (for real), a sheep and some chickens. But of course, most people come to try their coffee with beans straight out of an in-house ‘coffee research facility’ and brunch food served on wooden boards. Yes it seemed pretty gimmicky to us at first but the food was actually pretty good! We’re not huge coffee drinkers but decided to order a set of deconstructed ice coffee (AU$8) and we were hooked. 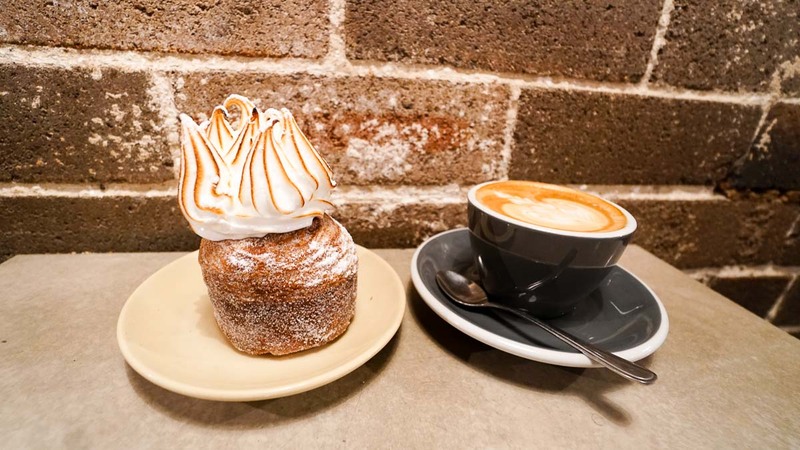 I’m not sure if anyone was ever faced with a dilemma over having a croissant, donut or muffin but whoever came up with cronuts/cruffins, THANK YOU for existing. Cronuts and Cruffins are basically a hybrid of croissant & donut/muffin so they’re shaped like the latter but has soft buttery layers like the former. If that’s not a match made in heaven I don’t know what is. 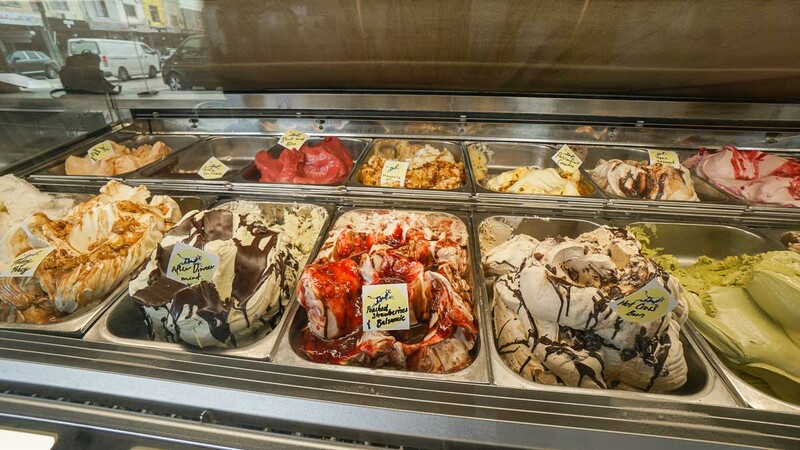 Famous for winning best gelato in the world Gelato, Cow & the moon houses popular flavours such as the Mandorla Affagato (voted best in the world) and Poached strawberries & balsamic (best in Australia). 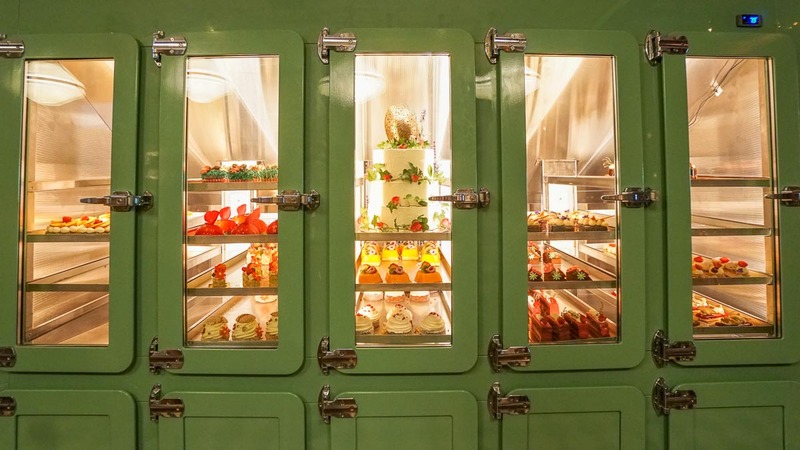 We personally loved the Queenslander (mango and macadamia)! By now you might have realised a slight food trend. 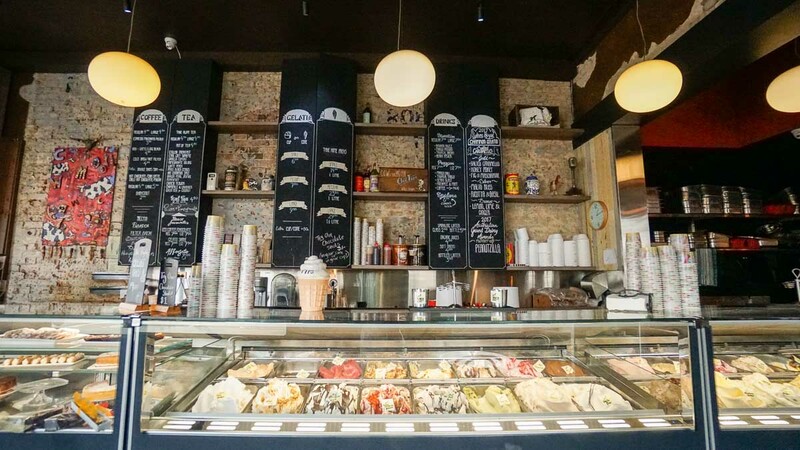 Cafes here don’t just settle for anything in it’s original state. 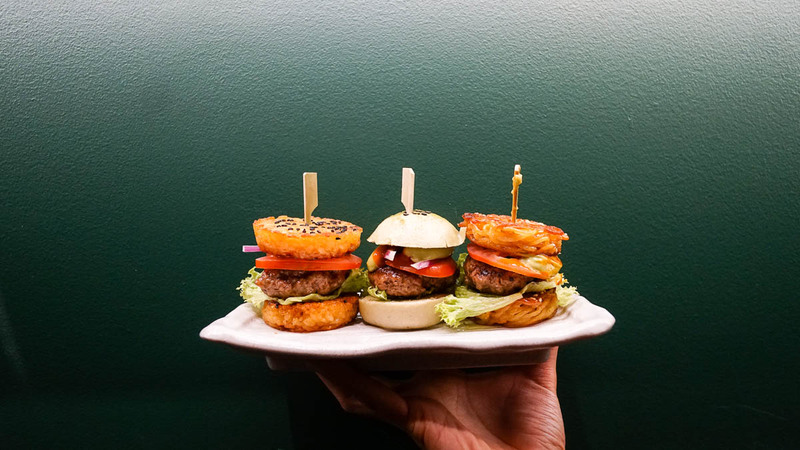 Everything is either presented, mixed or paired with surprisingly complimentary elements and the Burgers at ONE tea lounge & bar are not spared. 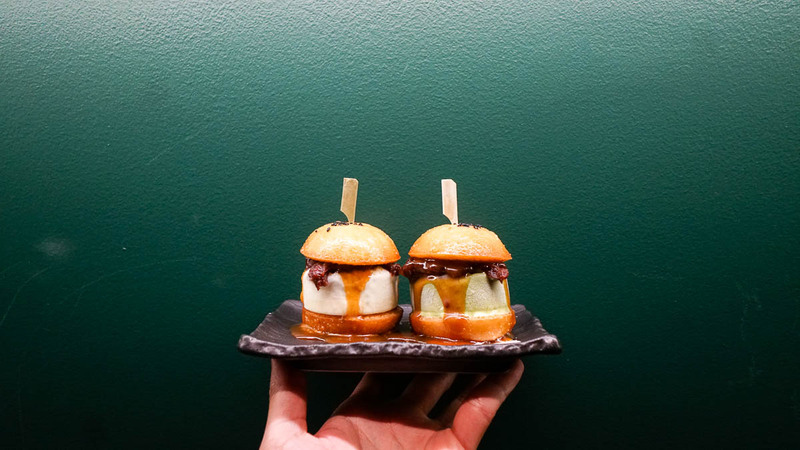 We ordered the fusion slider (AU$24 for 3) which consists of their crunchy rice, crispy ramen and fluffy matcha baos (my personal favourite was Matcha). Not forgetting the ice cream baogers (AU$16 for 2) which come with crisp, fried baos (like the man tous we eat with chili crab) along with a choice of matcha, black sesame, lychee or red bean ice cream. Definitely something to bao down to. 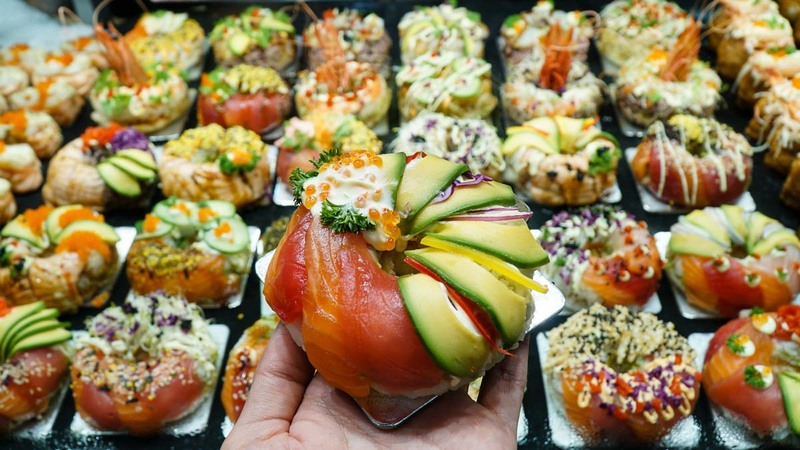 Speaking of hybrid donuts, the newest in trend is probably the sushi donuts found at the Sydney fish market. I’m not a huge fan of sushi being eaten this way but I got to admit they’re a little too pretty to pass on. 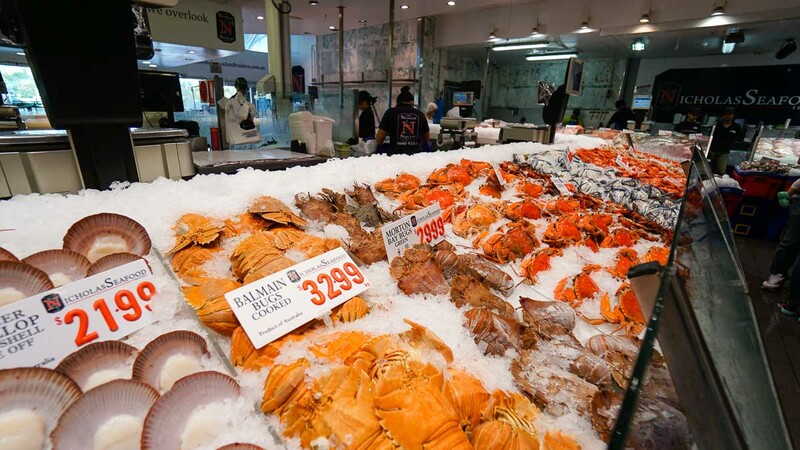 For a fresh serving of seafood, walk down to the end of the hallway and look for Nicholas seafood. You can pick a crab and ask for it to be cooked in a variety of styles; on it’s own or cooked with noodles for (extra AU$15) — serves about 3-4 pax. The ginger and shallot option was divine! 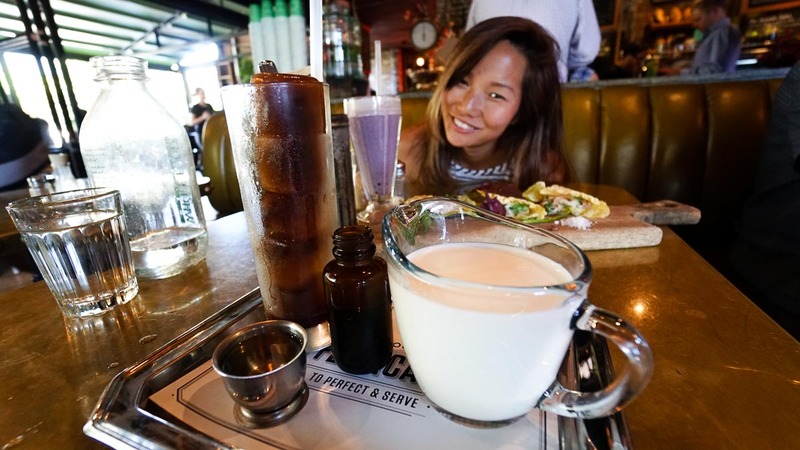 Read also: Sydney Food Trail Guide for thorough breakdown of Sydney’s famed eats! Measuring 6km, this simple coastal route only takes 1-2 hours to complete if you’re taking a leisure walk. 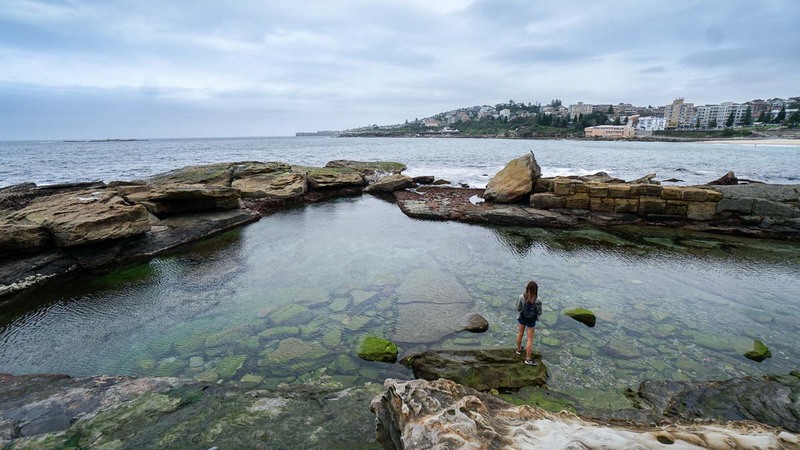 Stop along the way to check out aboriginal rock carvings, rock pools or one of the many charming cafes of Sydney. Sydney-siders are pretty serious when it comes to surfing so if you’ve always wanted to pick it up, Sydney’s a pretty good place to start. 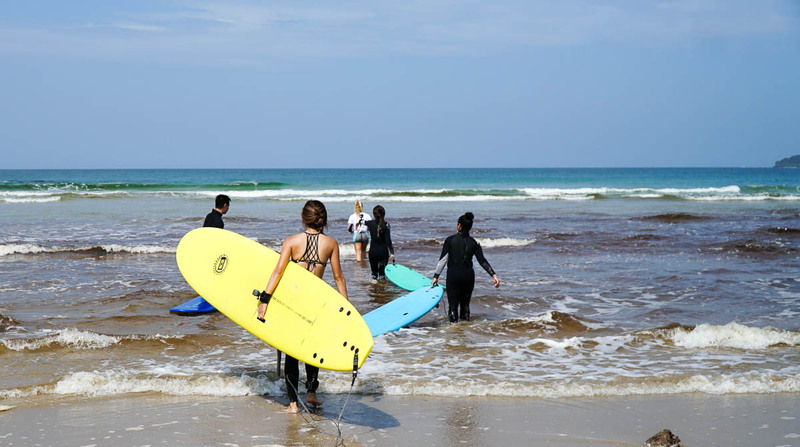 You can pick up lessons with surf schools in Manly, Bondi or Marouba beach — all within the city. 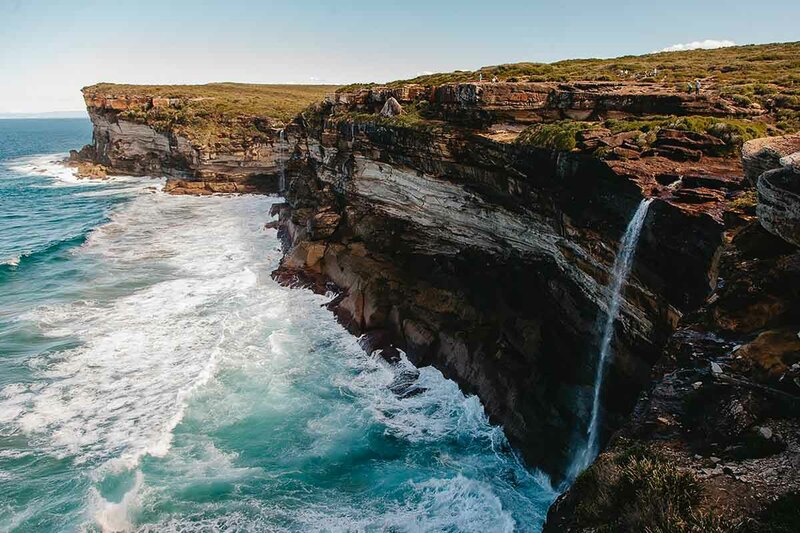 Under an hour’s drive out of Sydney city, the Royal National Park is a popular spot for many locals from the city because there’s really so much you can do. 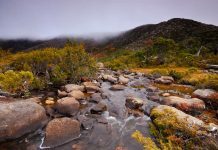 Have a picnic, go fishing or take on some bushwalking. Our favourite was taking the walk from Wattamolla towards Eagle’s Rock. The paths aren’t clearly carved out but it’s still an easy 3-4 hour round trip walk. 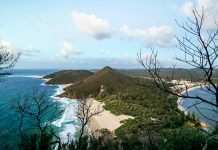 If you’re in Sydney during the Whale migration period (May–November), this would be an especially popular area since it offers unobstructed views of the sea. 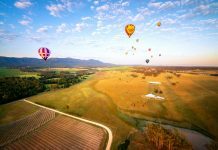 An approximate 40-minute drive south from the Royal National Park will bring you to one of the prettiest landing sites for sky diving. 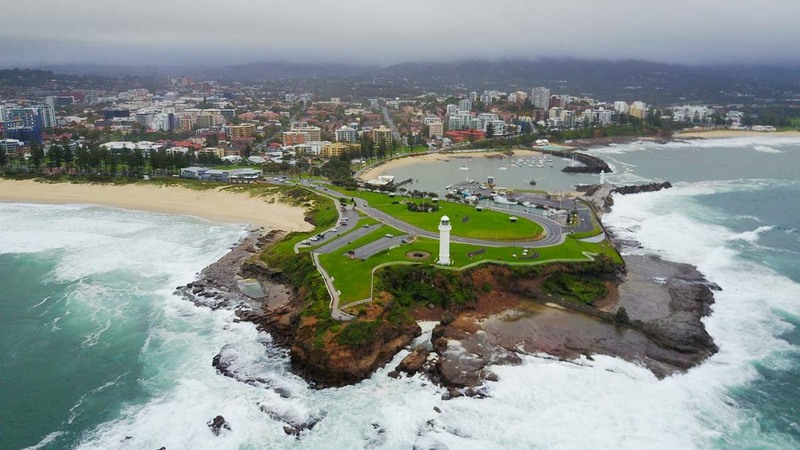 From the air you’ll be able to catch views of the light house, the gorgeous coastal land and finally, land on the soft sands of Wollongong beach. Views are definitely more epic from the top! 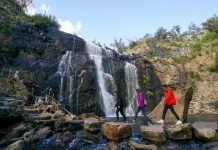 At just a 90 minute drive up north of Sydney, this is an ideal spot for day trips! 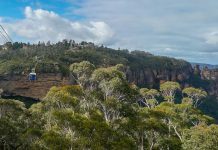 Pick a bushwalk route, check out some of the famous sights like The Three Sisters rock formation, enjoy stunning views over Govetts Leap at Blackheath or have a picnic by the waterfalls at Leura Cascades. Generally shops in Australia close around 5/6pm but don’t let that stop you from exploring the city once the sun sets! 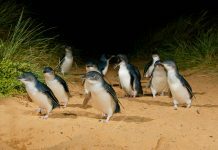 If you’re around during the Vivid Sydney festival (26th May – 17th June), perhaps the best time to be out is at night! This former wool factory turned hotel is one of the oldest timbered-piled wharf in the world. 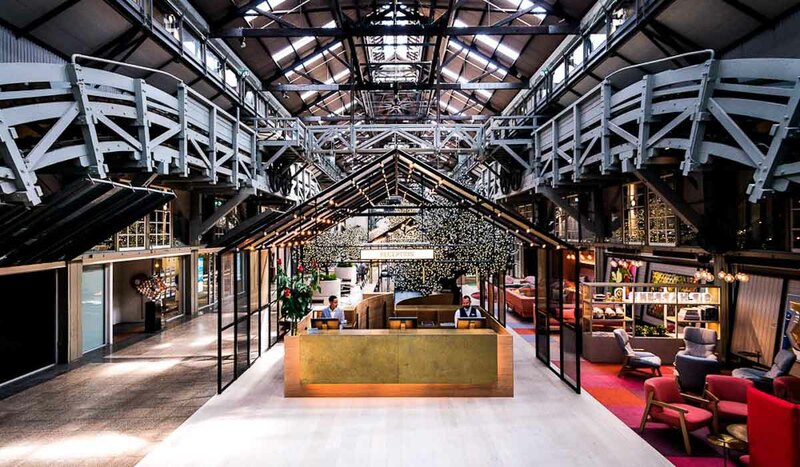 The Ovolo hotel has transformed the interiors into a modern contemporary space while preserving some of the factory’s structure and machinery such as the massive conveyor belt at the corner of the entrance’s stairs. If you’re looking for some fancy al fresco dining, the wharf is also where you can find a range of fine restaurants ranging from Chinese to Indian as well as Steak to seafood. *Pro-tip: Grab a pie from one of the oldest pie stalls just outside of the wharf — Harry’s Cafe de Wheels. Try the signature Harry’s Tiger! 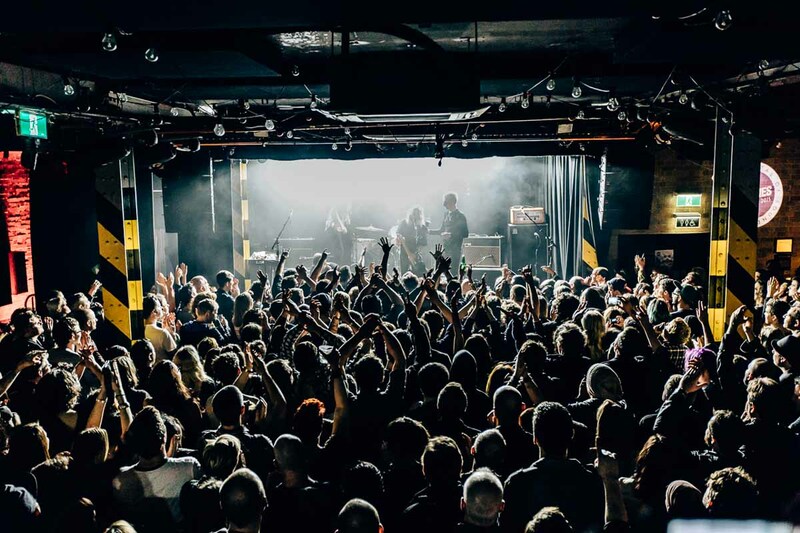 Sydney has pretty decent options when it comes to musicals, concerts and gigs ranging from timeless classics to foot-tapping favourites. 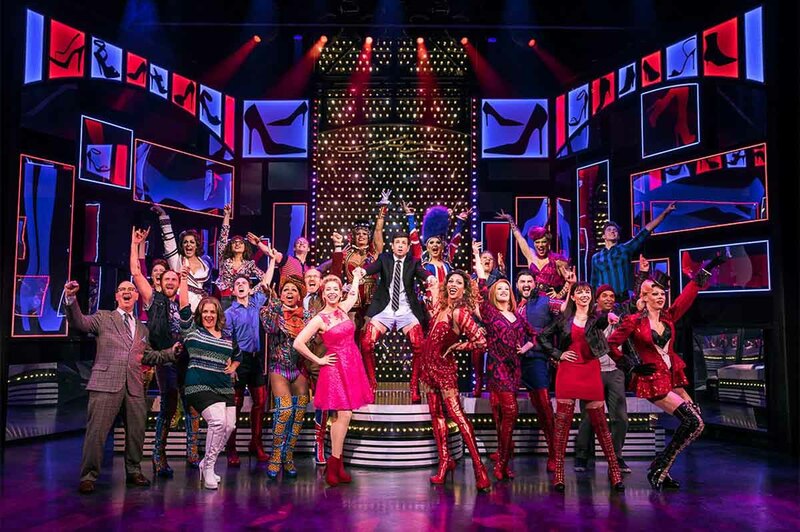 Some of the popular shows can be found at Capitol Theatre at Haymarket and the Sydney Lyric Theatre at The Star Casino. The Harbour area is especially captivating when night falls and what better place to get a view from the rooftop? 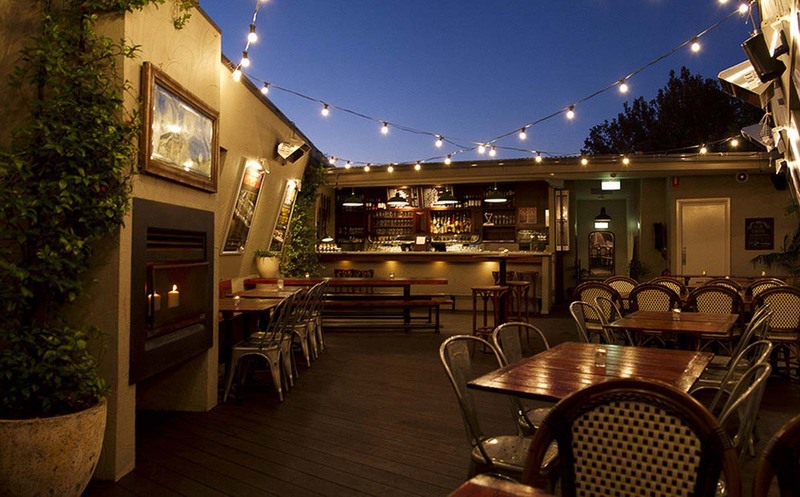 Check out one of the many charming rooftop bar littered across the city from The Local Taphouse at Darlinghurst known for it’s extensive menu of craft beers to The Glenmore at The Rocks, for one of the best views of the Sydney Harbour Bridge as well as the Sydney Opera House. Ever since Sydney’s lockout laws were put into place in 2014, it may seem on the surface that Sydney’s nightlife is pretty mild. But that’s only if you don’t look at the right places. 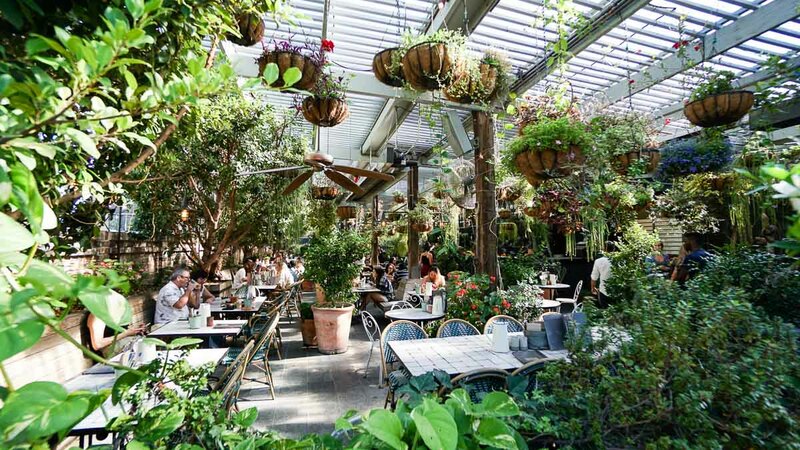 Kings Cross — once known for being the red light district of Sydney — the area is now developing with new lively bars and happening night clubs like The World Bar for indie beats or The Oxford Art Factory for one of the city’s best live music. 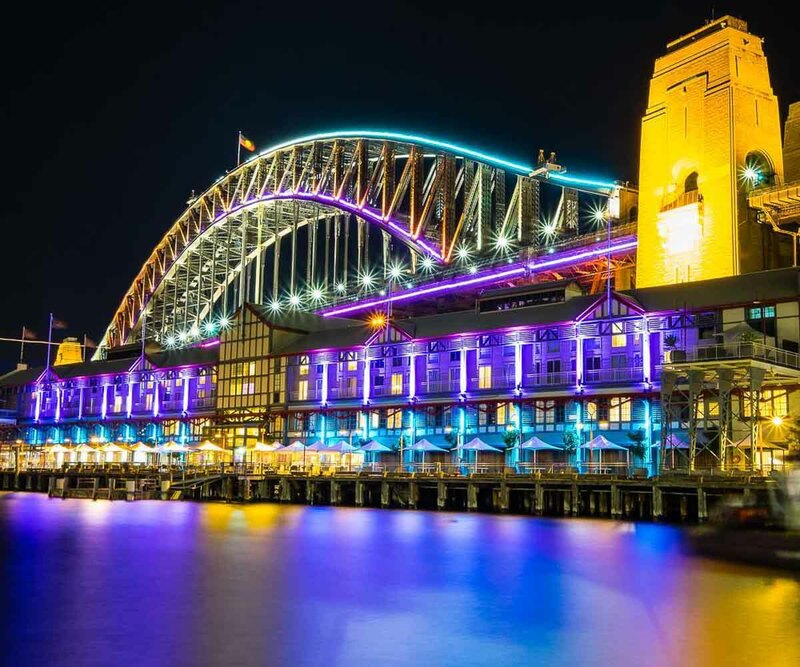 This annual 23-day festival features light shows at iconic sights, music performances as well as an interesting line up of talks around Sydney sharing ideas and innovations. Happening over Sydney’s mild winters from 26th May – 17th June, this is one of the best times of the year to visit down under! 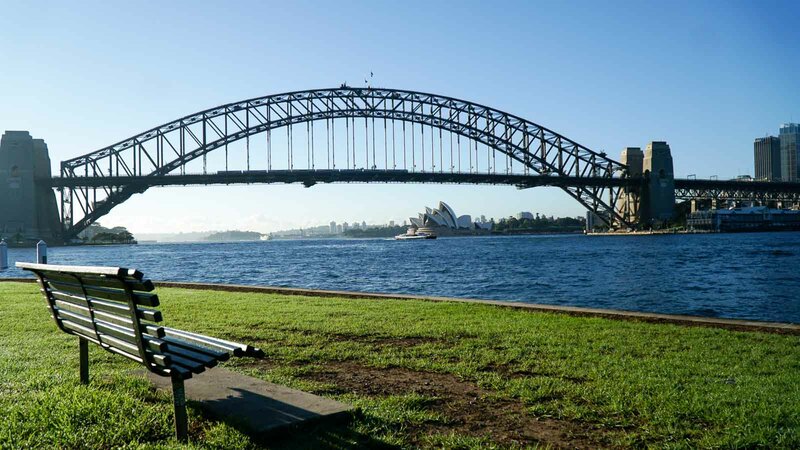 Scoot now flies to Sydney daily with airfare from S$181(one-way)! We’ve always loved how spacious the seats on Scoot are compared to the usual budget carriers but the timing was also perfect to get a solid night’s sleep before arriving at noon to kick start our new adventures. Scoot also just revamped their Scoot Cafe Menu with even more choices ranging from the Singapore Signature Chicken Rice to Cardamom Butter Chicken! Don’t be that person that only gets to whiff other passenger’s pre-ordered meals on this 8 hour flight! Book your flights before 10th May 2017 to enjoy fares from S$149! This post was brought to you by DNSW & Scoot.